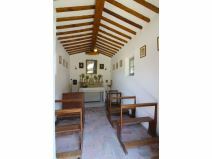 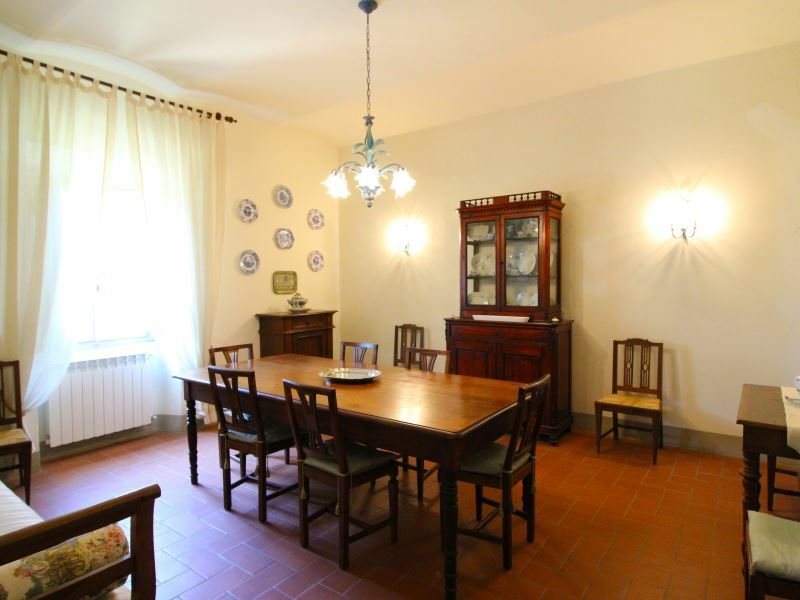 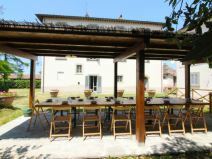 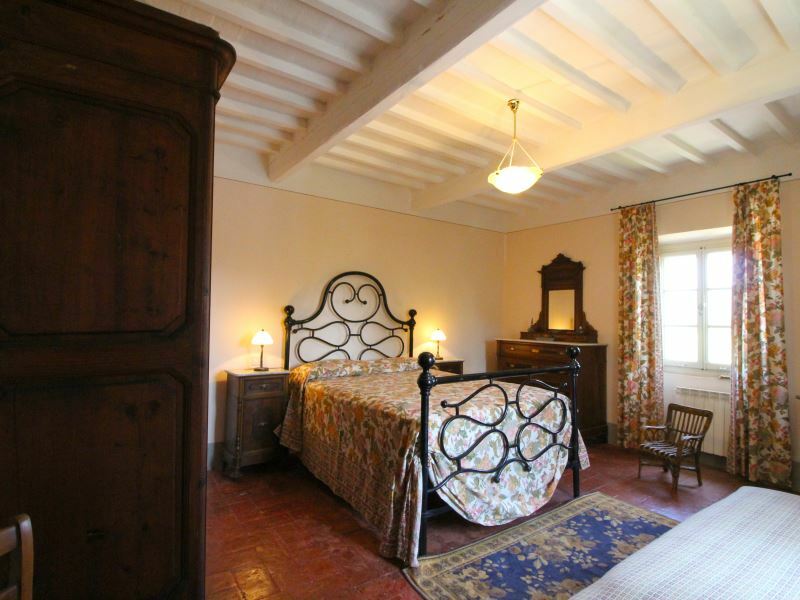 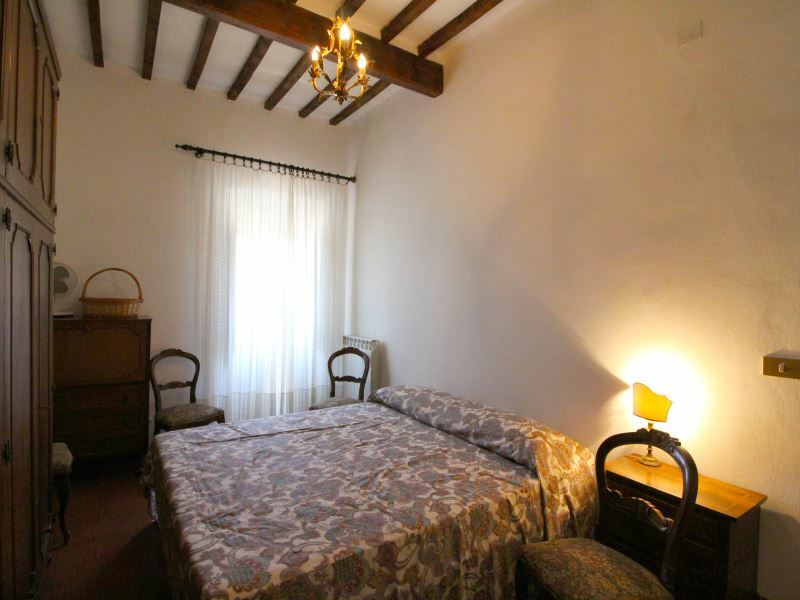 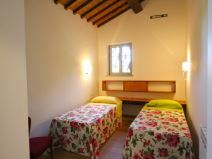 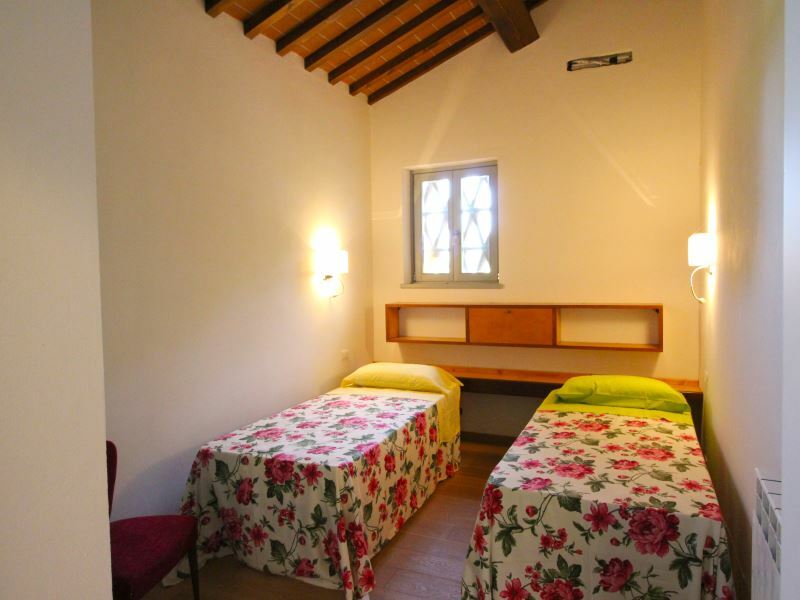 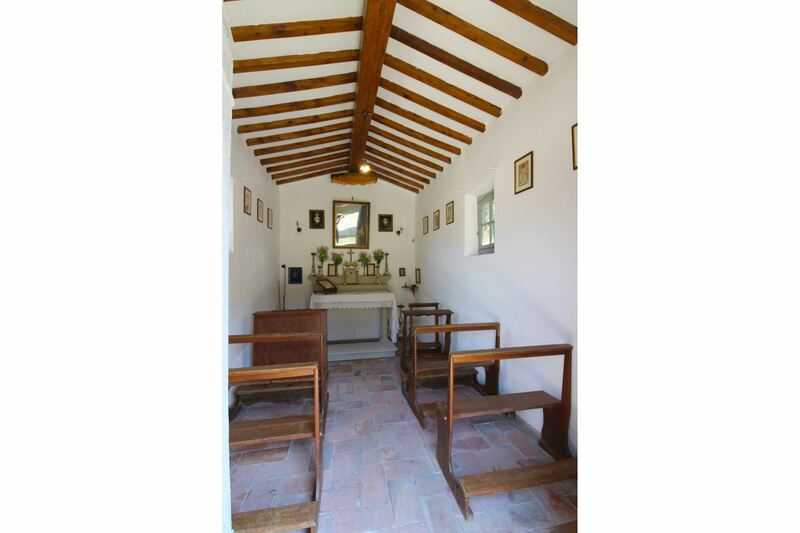 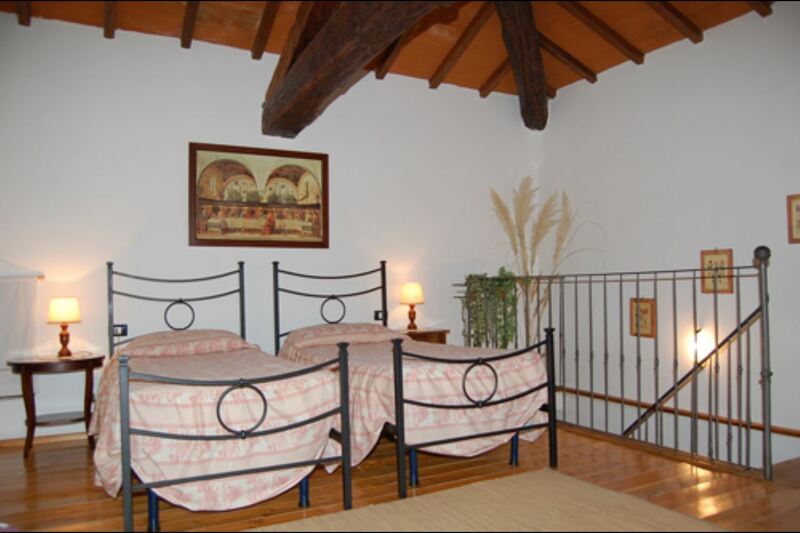 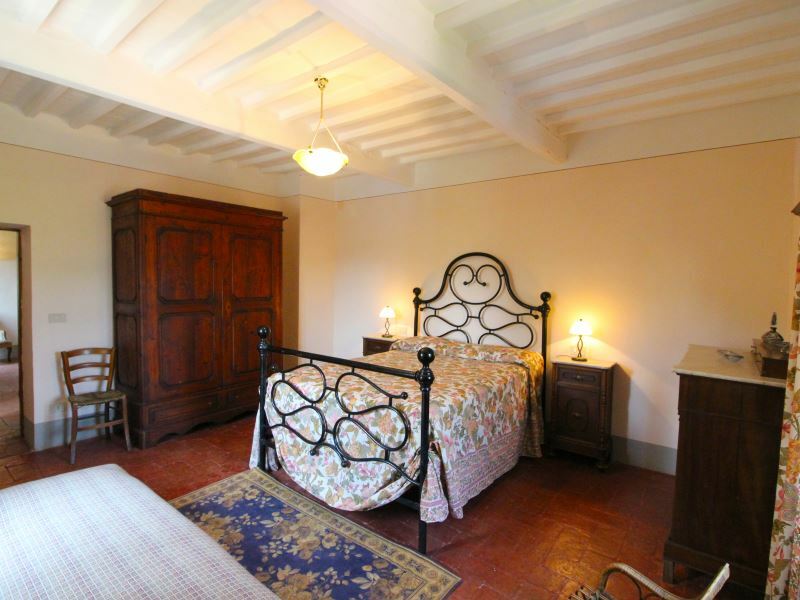 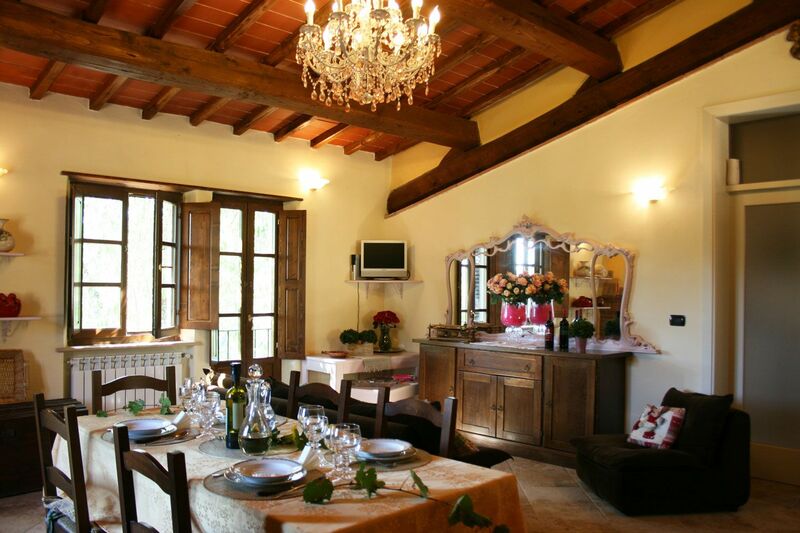 Ancient manor house with a large park and swimming pool, free Wi-Fi access and equipped spaces for outdoor meals. 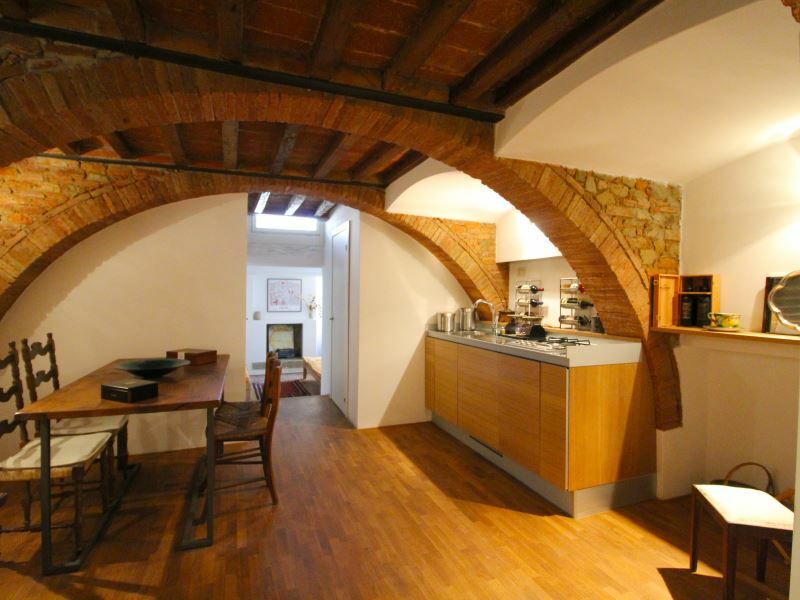 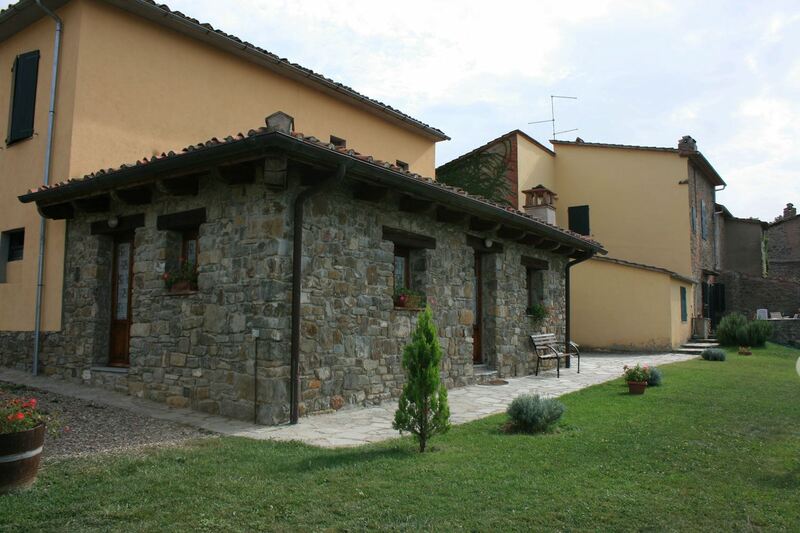 Just 15 km from the city of Arezzo. Well furnished and equipped. 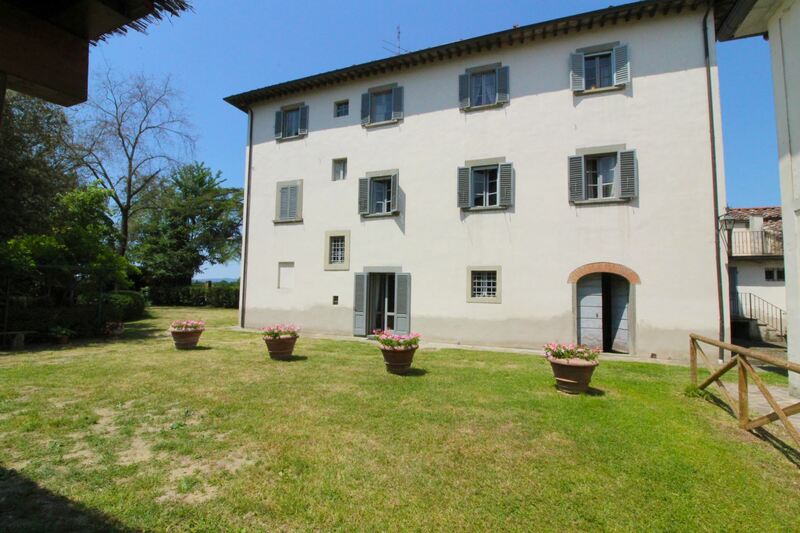 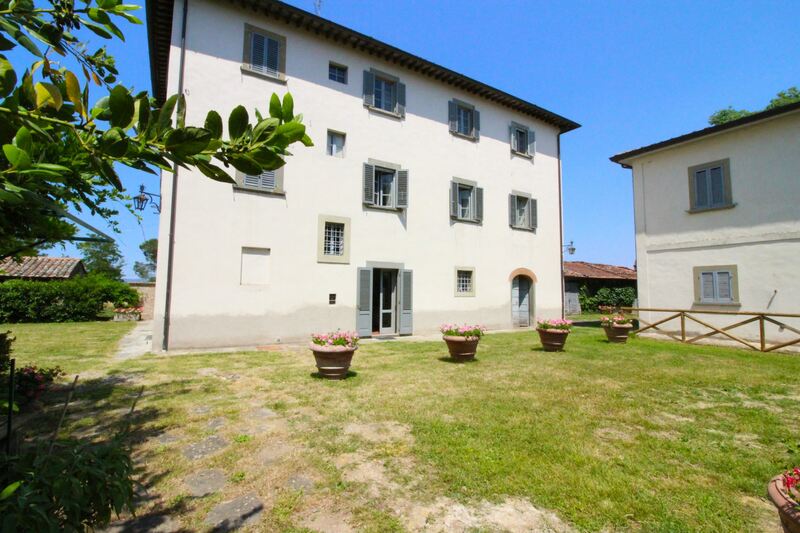 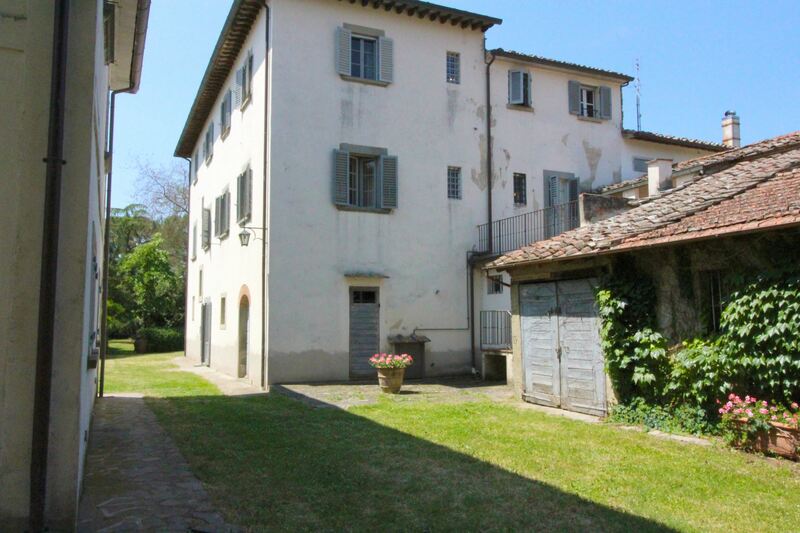 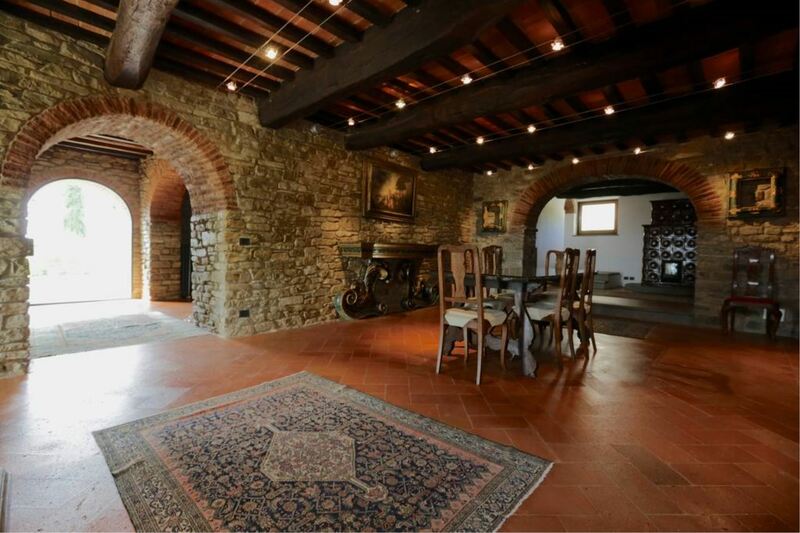 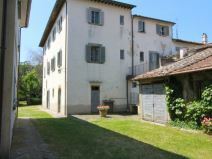 An ancient manor house at the gates of Arezzo. 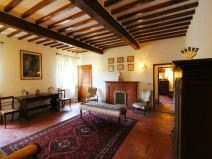 Villa Gherardo is an ancient and majestic manor house located in the cultivated countryside in the green Valdichiana, which during the summer is colored by a thousand shades. 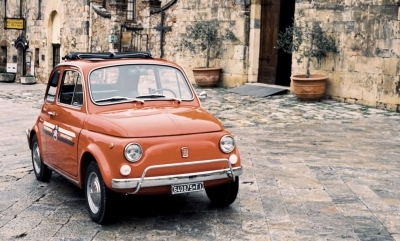 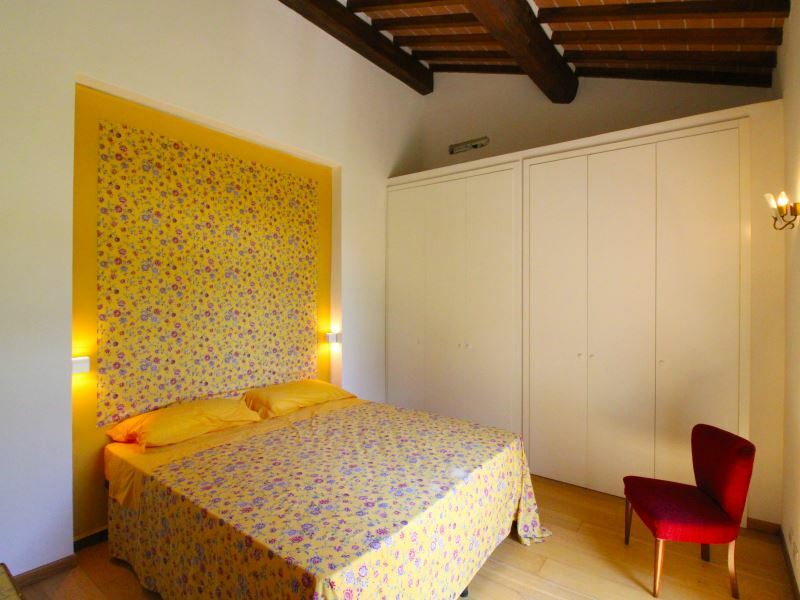 The city of Arezzo, famous worldwide for his works of art, the Joust of the Saracen and the old Antiques Fair that once a month animates its medieval lanes, is just 15 km away and offers all kinds of services, shops and restaurants. 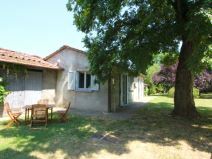 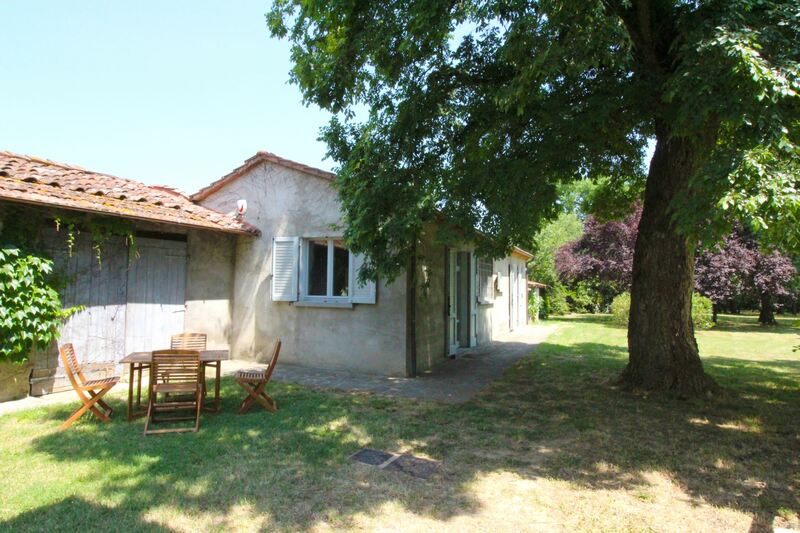 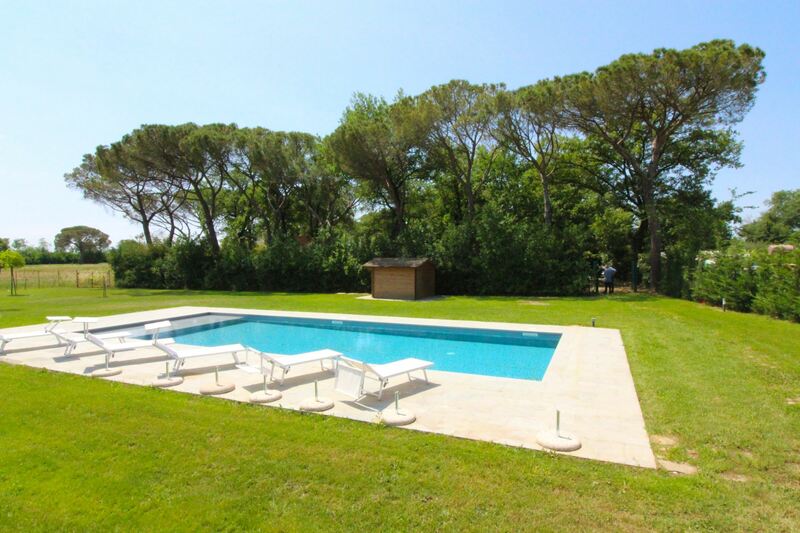 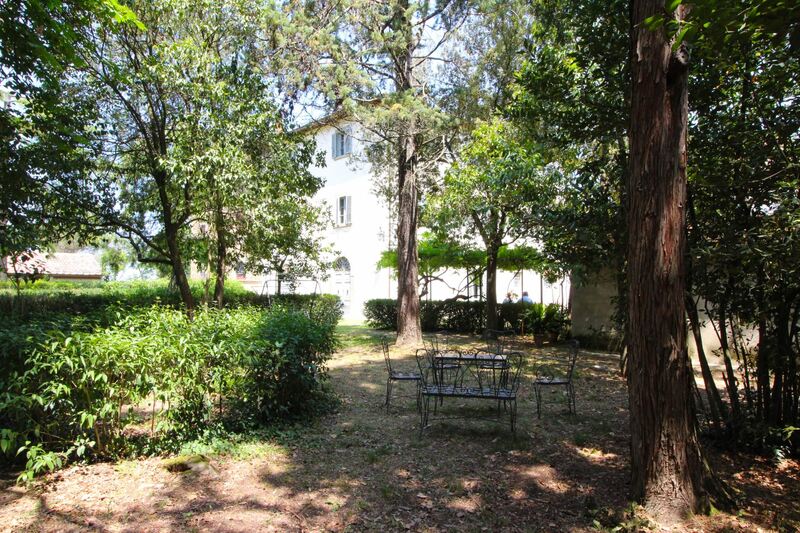 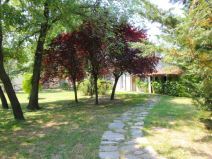 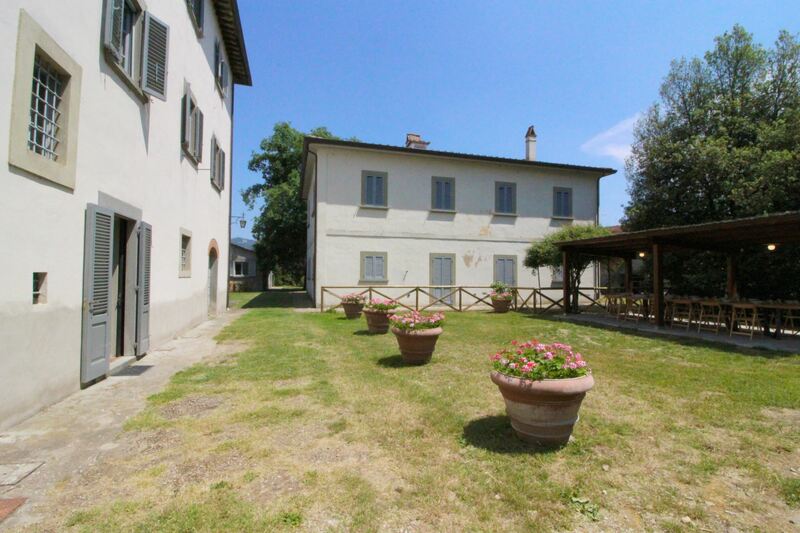 Wide shaded garden, swimming pool, barbecue and wood burning oven at disposal. 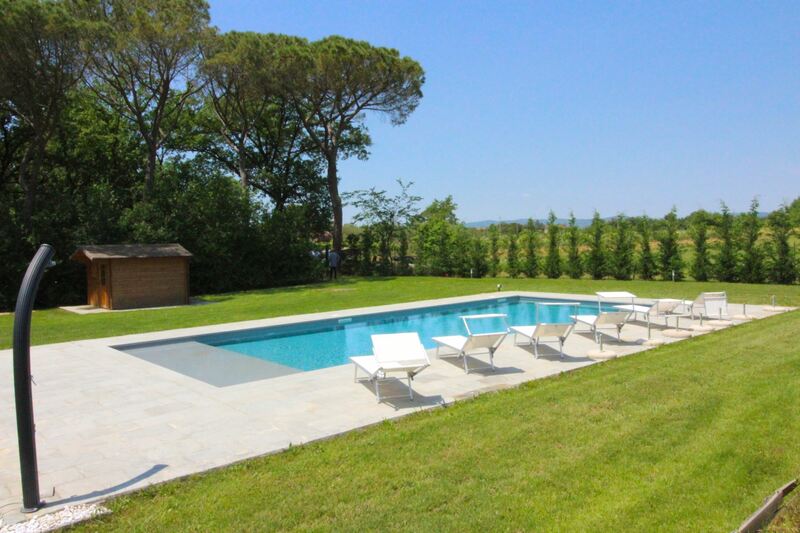 In the large fenced and shaded garden around the villa guests will find a beautiful swimming pool size mt. 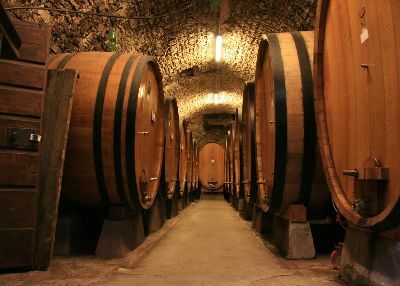 12x6 (depth mt. 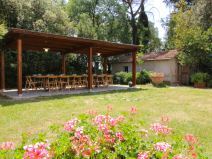 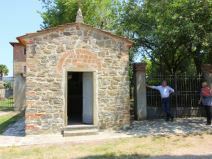 1.50) with WC, a large gazebo furnished with table and chairs placed next to a small house with equipped kitchen, wood-burning oven and barbecue, and also a private parking. 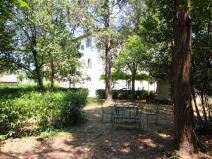 At about 300 mt. 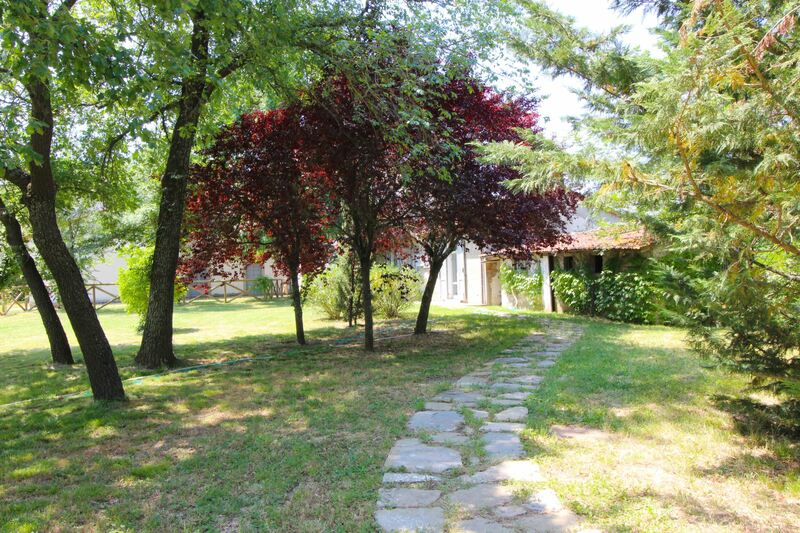 from the villa (and 180 from the pool) passes a railway line. 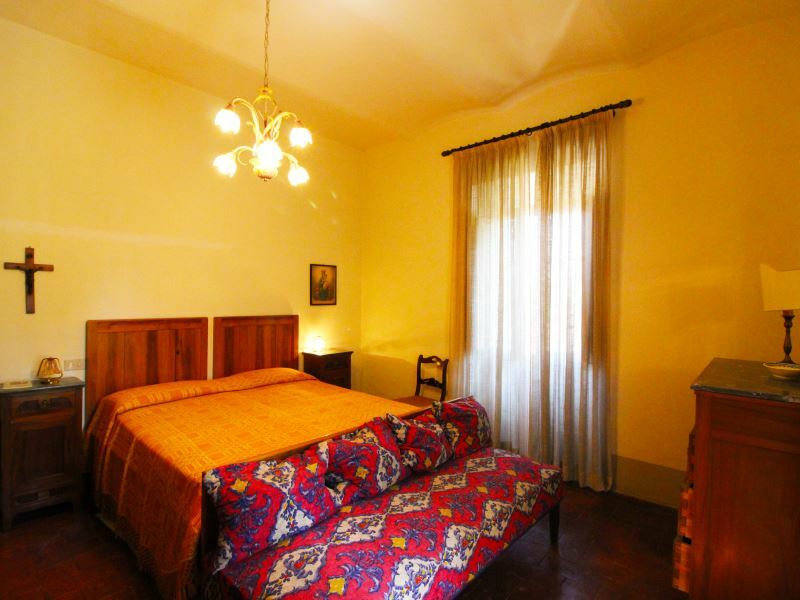 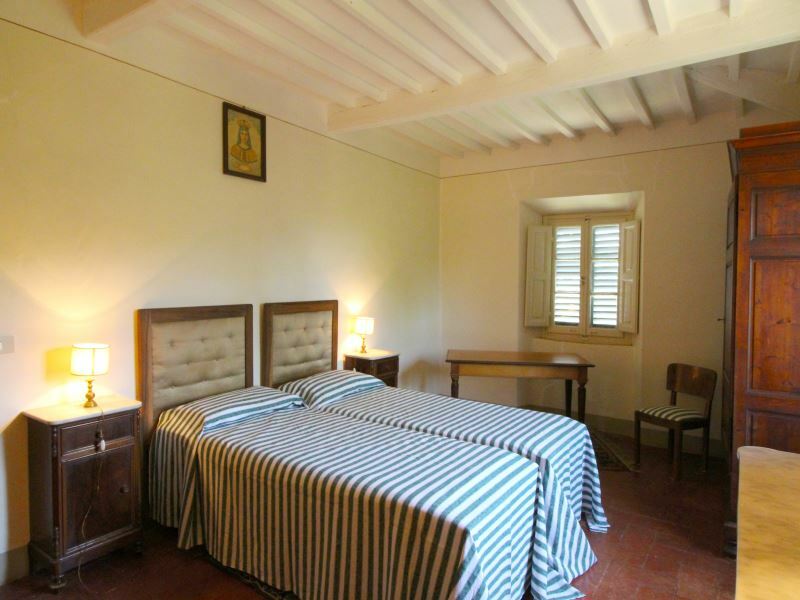 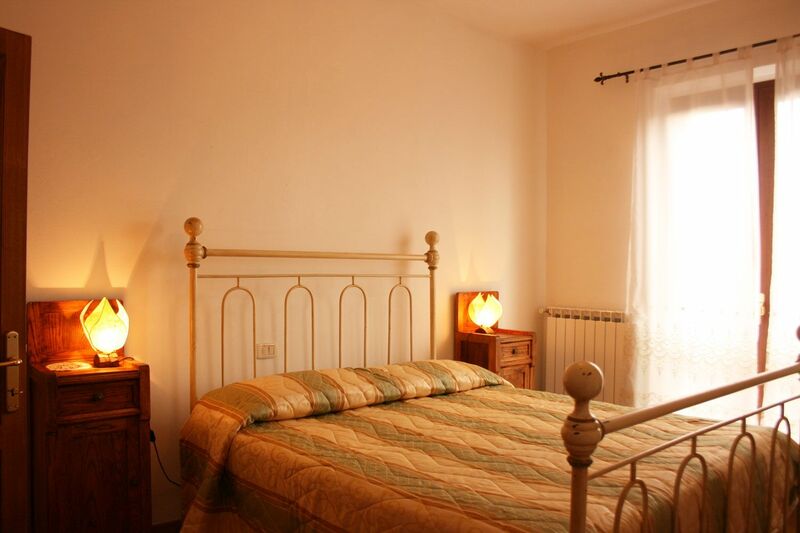 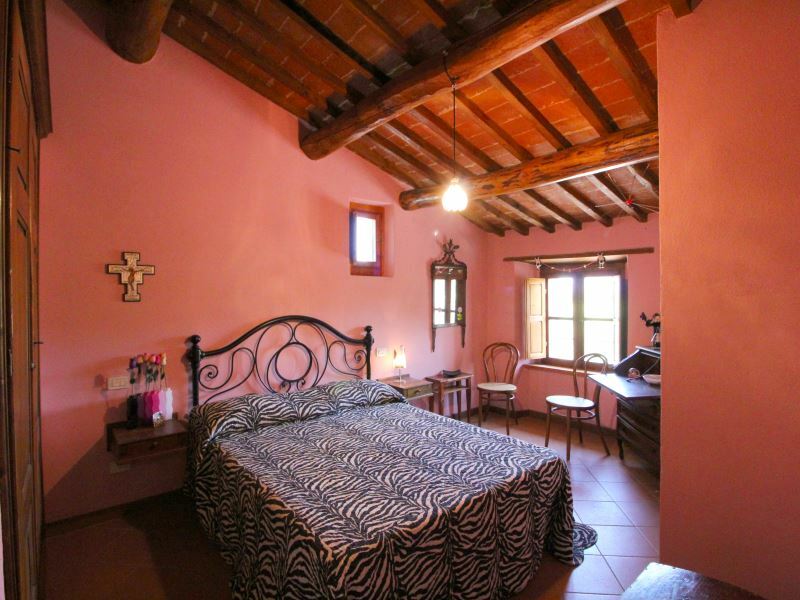 The villa is well equipped and furnished in a refined way, decorated with taste and with pieces of fine antiques. 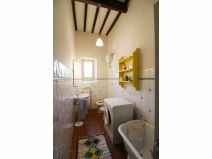 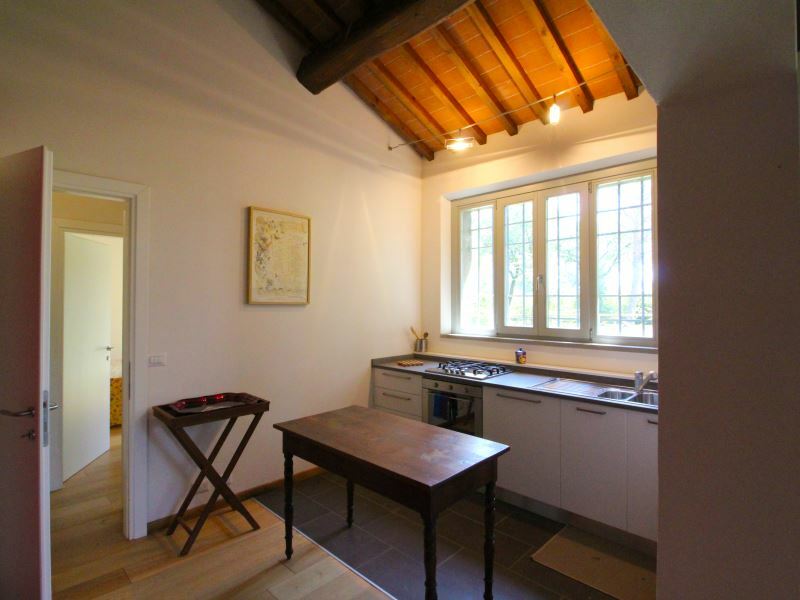 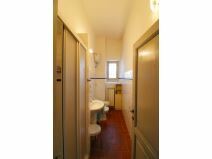 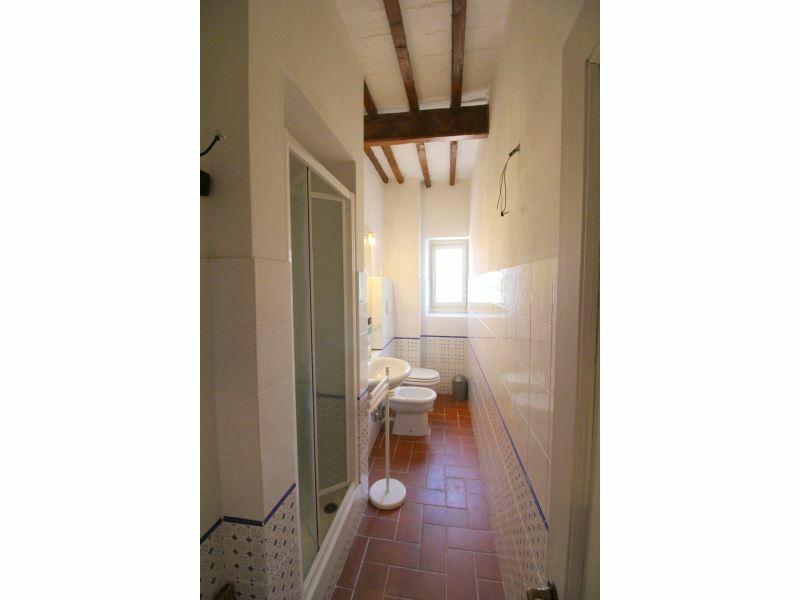 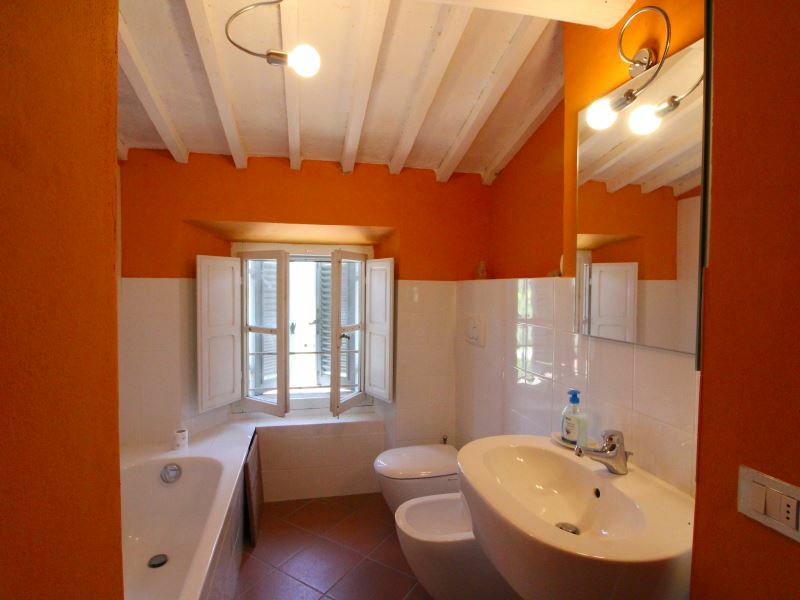 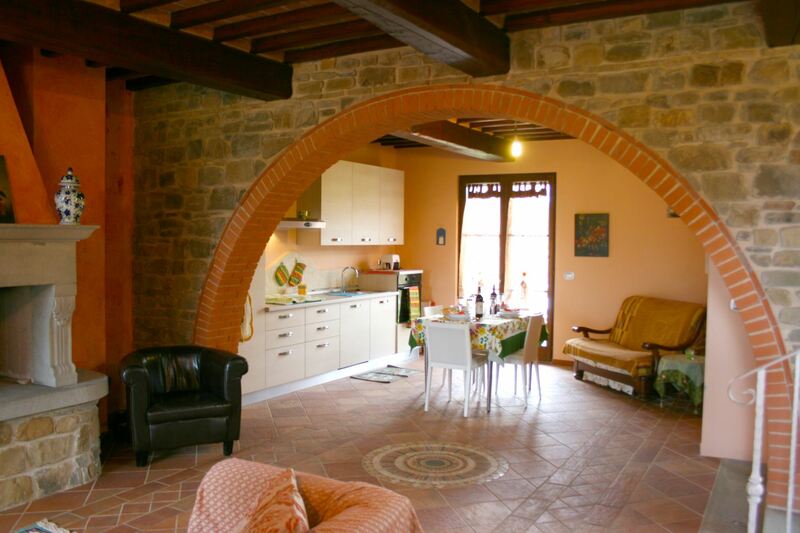 VILLA - GROUND FLOOR: entrance on a wide sitting room with sofas, small bathroom (WC, washbasin and bidet), living room and access to the old granaries where there are a living room with kitchenette, sitting room and bathroom with shower. 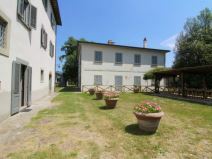 FIRST FLOOR: with access through internal staircase, large kitchen with wide, old fireplace, dining room, two double bedrooms, bathroom with bath and washing machine and bathroom with shower. 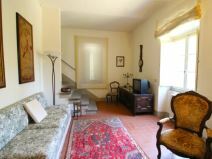 Connecting sitting room with sofa and TV leading to second floor. 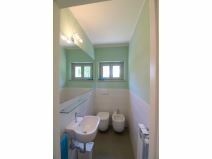 SECOND FLOOR: with access through internal staircase, wide sitting room with sofas, three double bedrooms, twin bedroom, bathroom with bath and bathroom with shower. 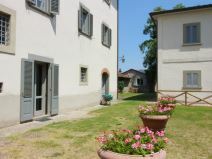 DEPENDANCE - GROUND FLOOR: with access from the garden, living-dining room with sofas, kitchen, double bedroom, twin bedroom, small bathroom with WC, washbasin and bidet and bathroom with shower. 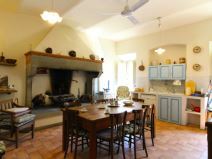 SMALL HOUSE with equipped kitchen and wood burning oven, next to the gazebo equipped with table and chairs for outdoor meals. EQUIPMENT: fridge with freezer (2), oven (3), dishwasher (3), filter coffee maker (2), moka coffee maker, toaster, Satellite TV, Wi-Fi Internet access, wood burning oven, barbecue, porch swing, kettle, fans (8). 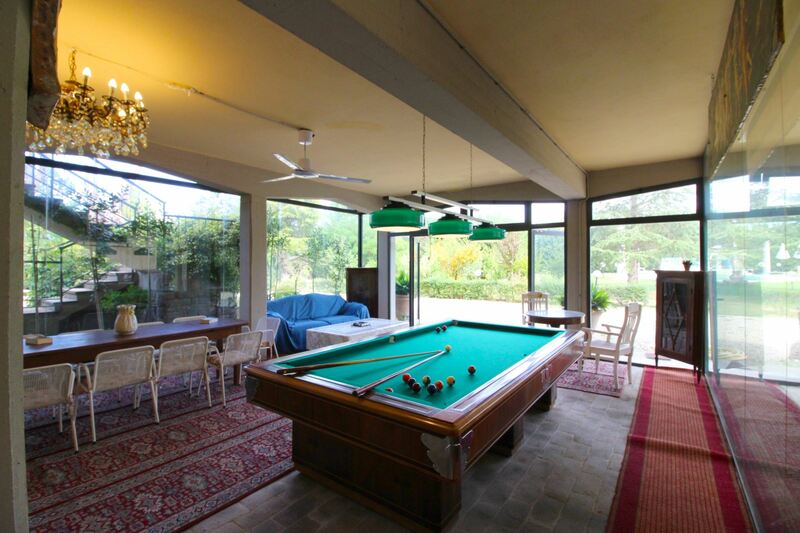 Very nice property where we had a wonderful time, taking advantage of the outdoor kitchen and of the swimming pool. 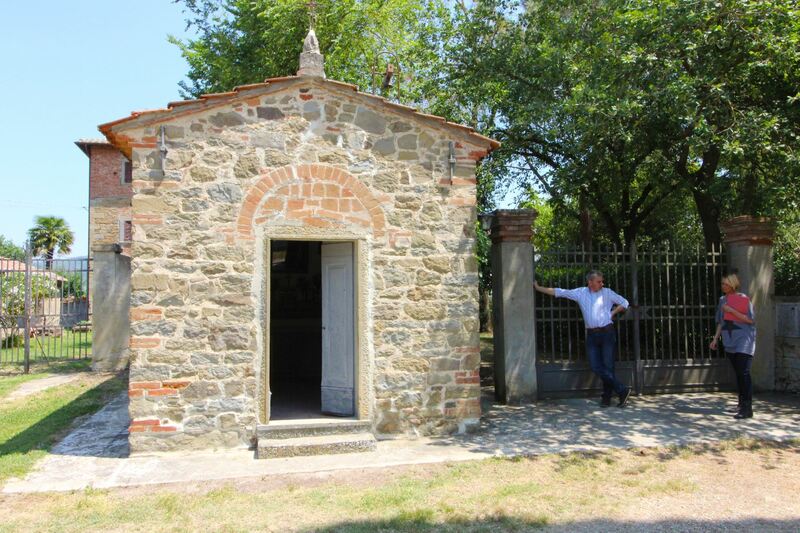 Only caveat is the proximity of a high-speed railway line, which fortunately, we quickly didn't notice any more. 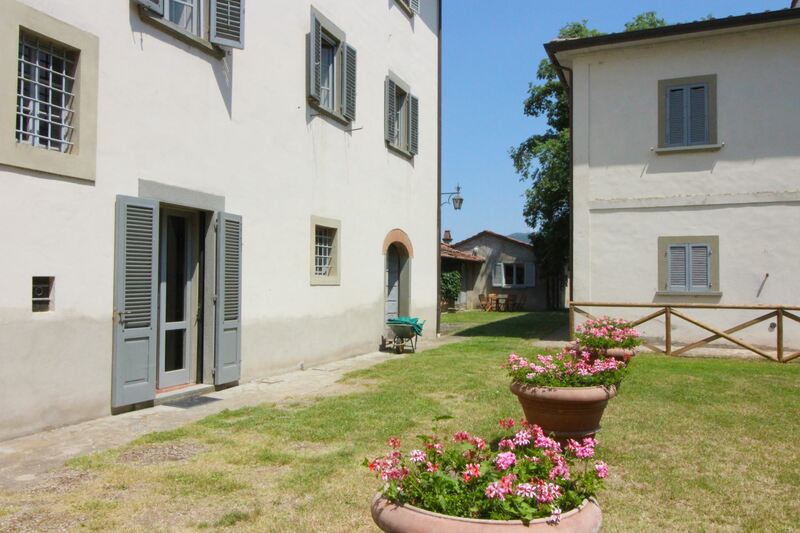 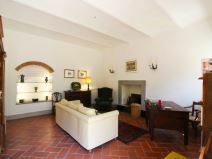 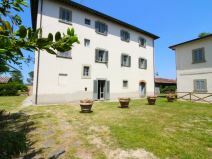 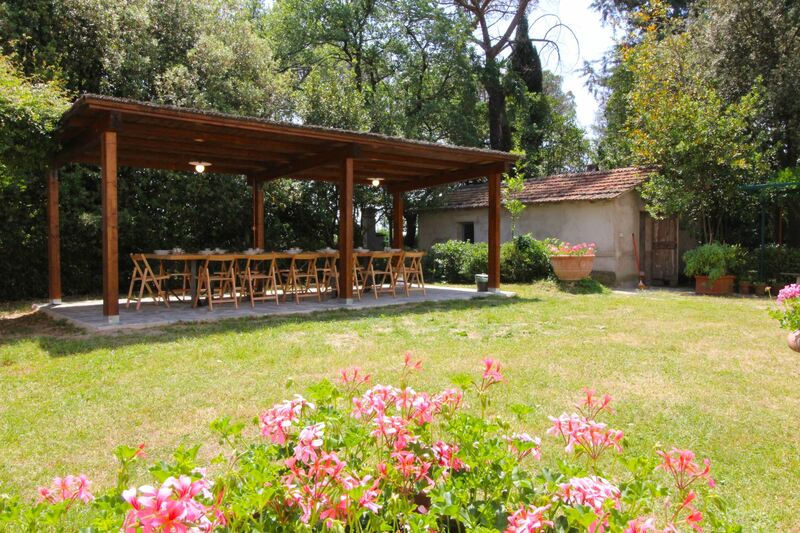 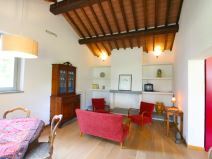 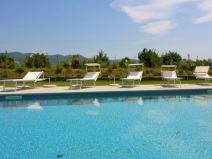 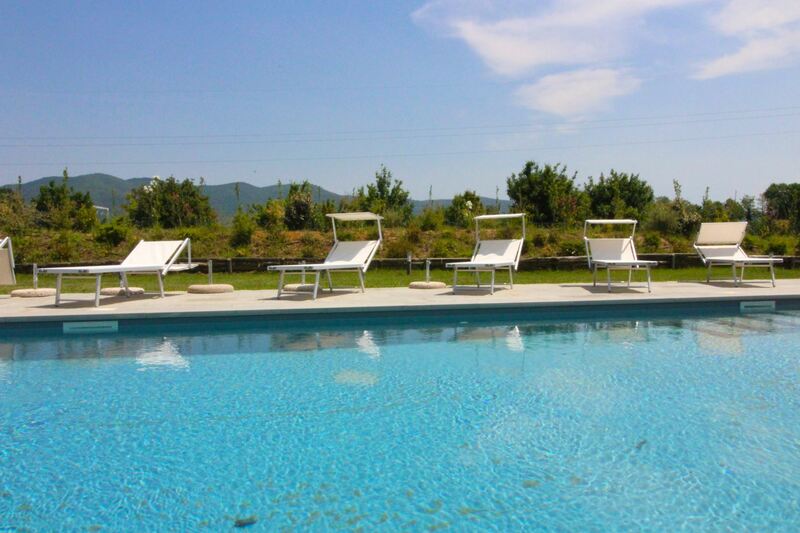 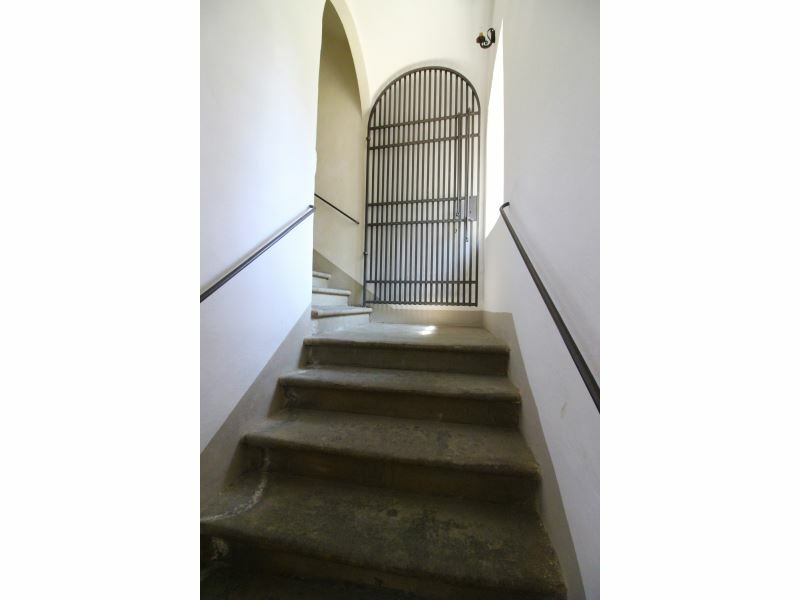 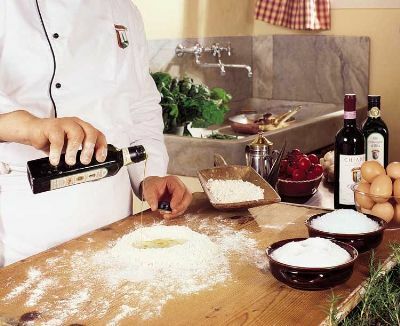 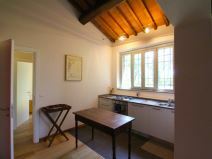 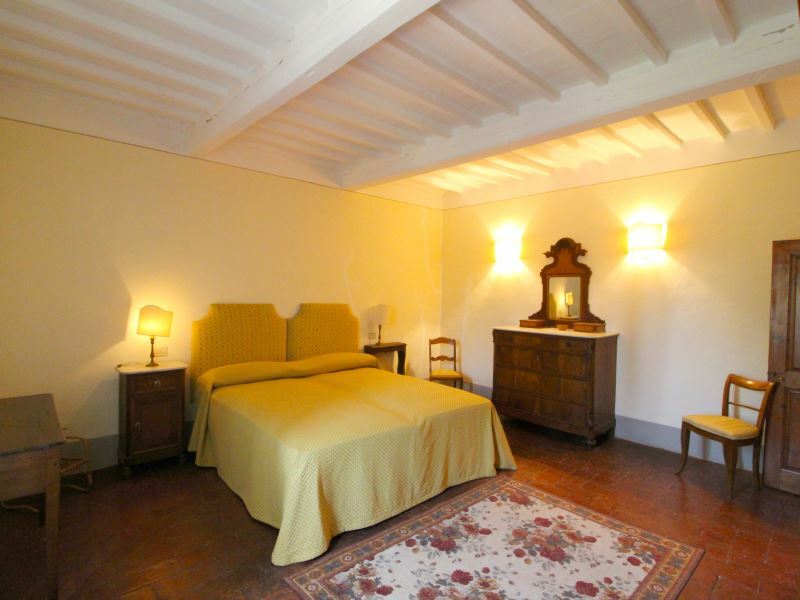 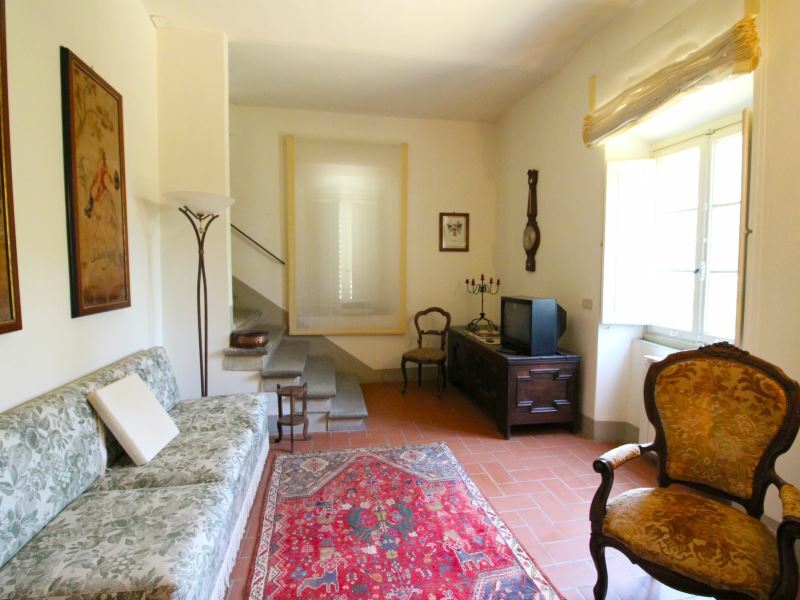 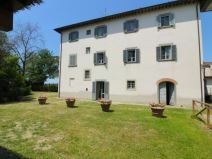 Villa Gherardo is a spacious old Manor House, with excellent facilities including a great and faboulous swimming pool. 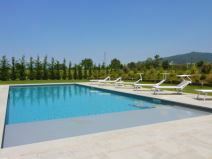 The children (and adults) had a great time splashing about. 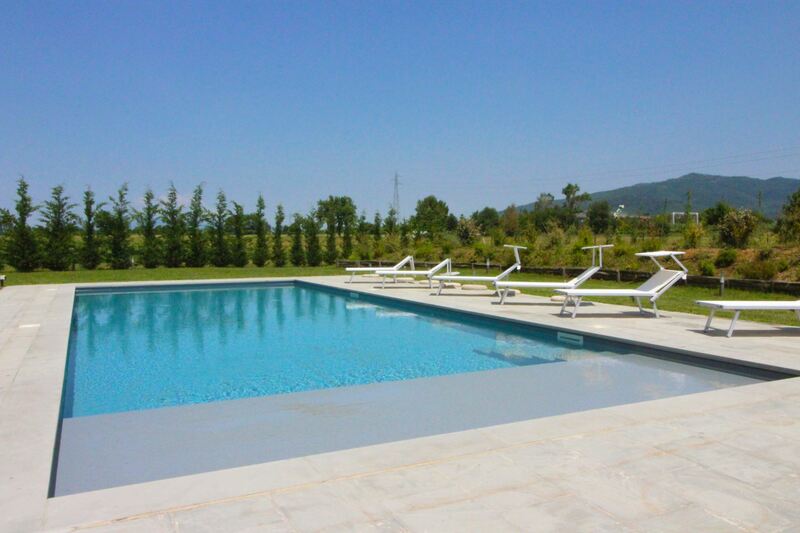 Plenty of sunbeds and shades. Everything was beautifully presented and very clean, great showers on each level and in the dependance. Beautiful furnishings and linens, plenty of room for our family of 14. 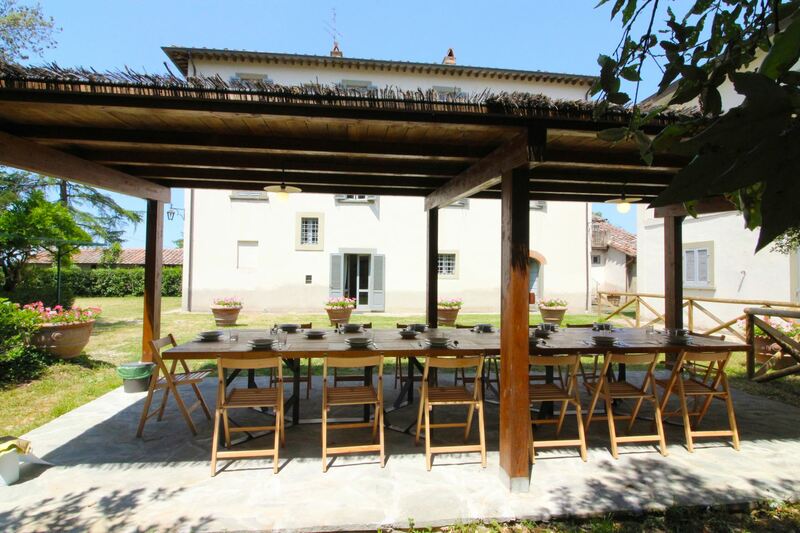 Lovely outdoor dining area and outside kitchen was well used by us. 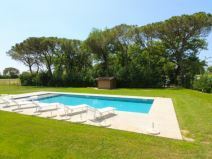 The location is very quiet apart from the train line close to the pool. We very quickly got used to the noise of the trains and didn't notice it after the first day, we definitely would like to return!